In the culture surrounding illegal drugs, there are thousands of slang terms, nicknames and street names for every imaginable drug. Hundreds of those street terms are used for heroin, a highly addictive illegal drug. 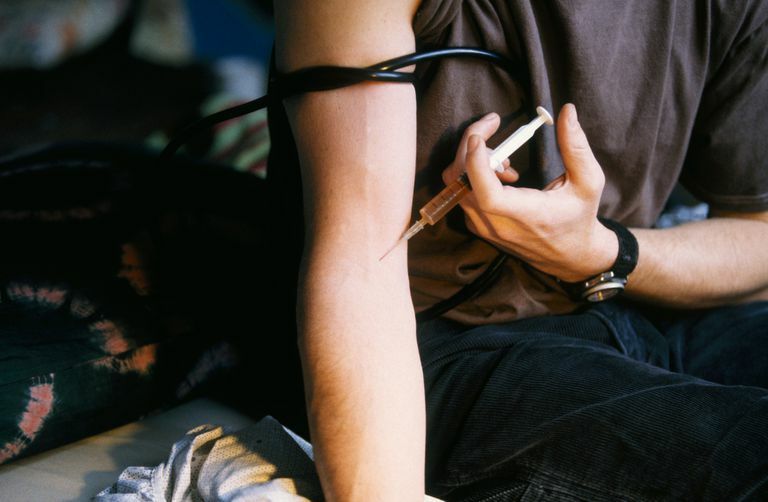 Slang terms for heroin are derived from a wide variety of sources, including the physical appearance and type of heroin; where it's from; the effect it has on users; and how it is packaged for sale. Some street names for heroin, however, are simply designed to cover up the topic of conversation and throw eavesdroppers off track. Some of the slang terms are based on the drug's appearance after it is cut and packaged for sale on the street. Some terms are based on the color of the drug and others on its composition. A few of the slang terms are derived from the supposed origin of the drug. Some nicknames are based on how the drug is packaged by street level dealers, either by the packaging's appearance or cost. Like street terms for other illegal drugs, many of the slang terms for heroin are used for no other reason except they disguise the true topic of the conversation to others who might overhear. Some of these terms seem to have no other logical explanation.